Newelo is an ambitious mobile enterprise software and service provider, that offers innovative and internationally awarded cloud-based Enterprise Mobility services worldwide. 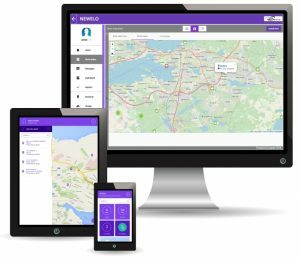 Newelo´s Enterprise Mobility Solution was developed in close co-operation with Nokia and it is utilized by large telecommunication and electricity vendors in sixteen countries globally. We are now looking for new employees. Home base will be our head office in Tampere. You will be working on web front-end coding and with user interface implementation. UI design skills are not necessary, but a positive add-on to other skills. We are looking for design minded expert with 1-5 years of experience in coding with web technologies Java script, json, PHP, Drupal, Mysql. You are fluent with CSS and CMS styles. Experience in working with maps will be appreciated. Basic knowledge on development with frameworks like Cordova, AngularJS or Node.js will be considered as an advantage. You will be take a key role in developing our back-end system and enabling new product features. The work requires a deep knowledge on web content management software, especially on Drupal versions. We are looking for deep expert with 5+ years of experience and strong coding expertise with versions of Drupal, Mysql and Linux. For more information about Newelo, visit www.newelo.com. Applications and questions: email to careers(at)newelo.com.